HDSLRs have their "issues" (wonky monitoring, moiré, poor usability, etc), but we've got the solution: the Sony FS-100. The same selective depth-of-field, but in a much better form factor. The FS-100 shoots in the same low light levels as our old 1D, and can use the same lenses we have for our Red. We've also got a Panasonic AF-100 with a lot of the same attributes. Enjoy all the upside of the HDSLRs, but without the headaches....call today for more information. It was the flavor-of-the-month, but we can do better. 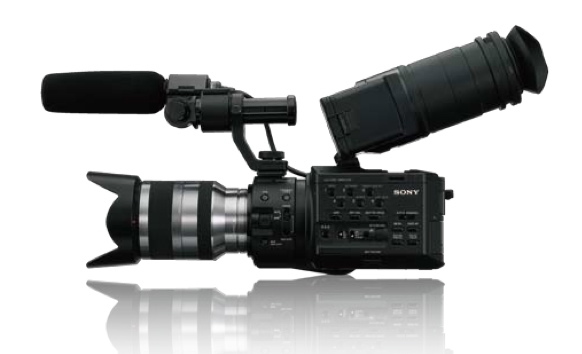 We've sold of our DSLRs and offer instead the Sony FS-100. Same "Super 35" sensor as the 7D (and the Red), and amazing low-light capabilty - like the 1D, but easier to use, and much easier to monitor. Please call for details — we can put together a package rate for your shoot. Our HDSLRs are perfect companions for our battery-powered, go-anywhere, on-location motion control system. This MoCo unit is beefy enough to handle the Red as well. Imagine a motion control rig that can be carried and setup by one person, with completely repeatable pan and zoom. 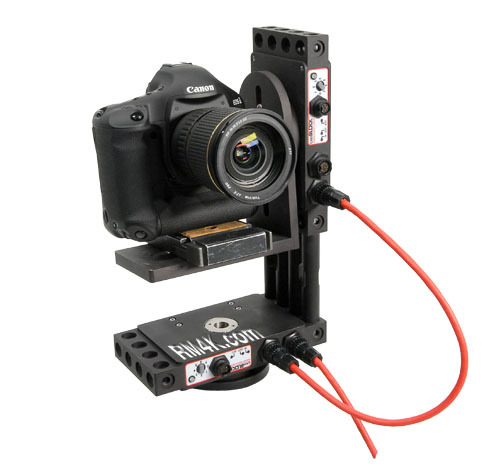 Great for timelapse landscapes (along with the 'semi-controlled' track) or for on-location multi-element shots. Rich Lerner directed and photographed this music video using our Canon 1D Mk IV (except for the archival aircraft footage of course). One Wing and more of Megan Burtt's music is available on iTunes. Press ESCAPE or click on the "X" above to close this box.